"The Food group is involved with all aspects of local food – whether locally grown, processed locally or sold through local shops and markets. Our concerns are for a world where finite resources (particularly oil) will restrict our ability to import food from elsewhere in the world often grown at the expense of local food production in developing countries. In acting now and building resilience for a more sustainable future, we celebrate the ‘local’ because ‘plot to plate’ means food is fresher, transport distances are reduced, refrigeration minimised in maintaining artificial longevity. Potatoes in the supermarket have often been in a fridge for over a year. People know where there food comes from and can be confident in production methods." What does the Food Group do? These have included talks on Food Security, Community Supported Agriculture, Composting, Bees, and Mushroom Cultivation, and training courses on Permaculture. This year has seen visits to the Agroforestry Research Trust, Dartington, Devon, to the Community Supported Agriculture project in Stroud and to a local food producer, Bath Soft Cheese at Kelston. Permaculture courses, techniques for preserving home-grown produce, outdoor cooking, fruit tree pruning and apple pressing. We have apple juice bottling and food dehydrating equipment for hire. We have developed ‘guerrilla gardening' sites in unused spaces around the city filled with vegetables, fruit bushes, trees and herbs that are planted, watered and harvested by local residents. 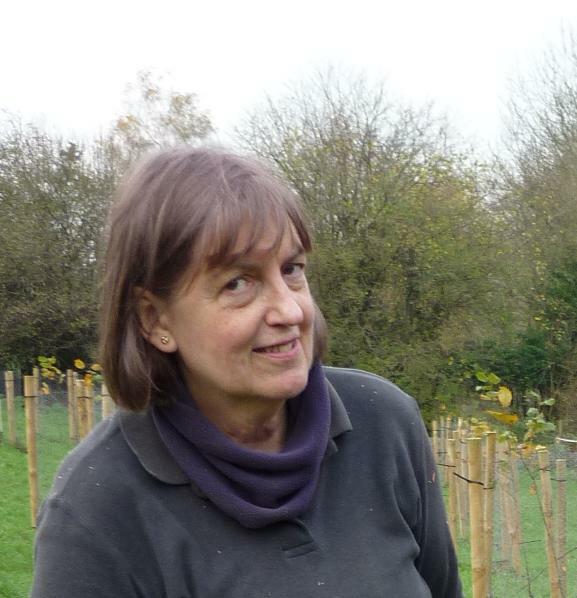 Working in partnership with the National Trust we have planted 37 nut trees on an access site available to the local community - in Smallcombe Vale near Widcombe. Have a look at the Nuttery Scrapbook here. We offer advice on planting, pruning and general care of fruit trees and worked with a group in Bailbrook at the beginning of their community orchard. We initiated and continued to support Dry Arch Growers a Community Supported Agriculture co-operative in Bathampton, which has now developed a vegetable box scheme. FareShare is a national organisation engaged in re-distributing excess produce from food wholesalers to organisations working with those in need. We have been working with the Bristol branch of FareShare and have now established a Bath hub. See the SW website for more info. Bath was largely self-sufficient in food until the 1950s. Our vision is that those rural-urban food links are re-established so that Bath can become, once again, a ‘sustainable food city’. The Food Group meets once a month and welcomes new members. There are also opportunities to attend events and to support existing projects and help develop new ones. Let us know: about potential sites for growing food, local food producers, skills you can share, skills you’d like to acquire, topics you’d like to discuss or learn more about and any innovative examples of local food production. Vegmead, which has become famous in Transition worldwide*, was created in an unwanted circular flower-bed in Hedgemead, a municipal park in Bath. Vegmead is now being run independently of Transition Bath. See Vegmead Community Garden on Facebook, or follow them on Twitter: @vegmead. Donkey Lane is a public path going down from Claremont Buildings to Perfect View. fruit, herbs and vegetables, and also with flowers for the bees and butterflies. This small neglected space bordering Gravel Walk in Royal Victoria Park was turned into a community fruit and vegetable patch by a team of guerrilla gardeners. Its city centre location, right on the main tourist trail, makes it a good place for demonstrating productive growing - and being very small, it can be maintained through occasional workdays. Hanna Close Community Garden in Twerton was initially planted up in November 2015 by volunteers from Transition Bath, Timebank and the University of Bath. The site is approx. 50 metres behind Time Bank's offices. Anyone regularly passing by or living in the local area is invited to cultivate, plant and harvest fruit and veg there. Pop into Time Bank if you'd like to find out more. The community garden in Park Street was started in 2009. In the summer many residents from Park Street and the nearby area enjoy fresh herbs, gooseberries, blackcurrants, onions, potatoes, beans, carrots, beetroot, courgettes, chard and squash. Our nuttery is planted on National Trust land, beside the Skyline Walk at Smallcombe. Cobnuts, walnuts, almonds and sweet chestnuts were planted in 2011, and a quince, medlar and mulberry added in 2012. The nuttery can only be reached on foot - see map. The food group has a set of household-sized apple juicing equipment: crusher, press and pasteuriser. It’s available for hire to local families and groups who’ve attended one of our regular workshops. We also run ‘preservation workshops’ on different methods of preserving fresh produce and foraged food: bottling, dehydration, preserving in oil, etc. We’re keen to support local producers as much as possible. One way we’re currently doing this is to work with our local Council to develop a Local Food Strategy. Bath & North East Somerset Council has now joined the Sustainable Food Cities network.